Click Here for the Free Implant Program! The family and cosmetic practice of Drs. 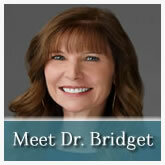 Steve and Bridget Hurst would be honored to serve your dental needs. Bridget and Steve have four children of their own and understand the importance of quality, value and compassionate health care. We will always treat you in the manner in which we would want to be treated. Know that we are committed to helping you achieve optimal dental health, comfort, function and esthetics. Eventually, we hope to establish longlasting friendships with all of our patients. We are the friendliest most accomodating office you will ever encounter. As members of the American Dental Association, California Dental Association, San Diego Dental Society,the American Society of Dentistry for Children and the American Orthodontic Society we are dedicated to the highest standards of dental practice through a stringent program of continuing education. We are a dental practice devoted to restoring and enhancing the natural beauty of your smile using conservative, state-of-the-art procedures that will result in beautiful, long lasting smiles! All of my cleaning visits are painless (which I think is incredible since I usually have a lot to clean). The staff is always very friendly, and I get in and out in a short amount of time. Dr. Hurst is also a great dentist. I only have good things to say about them all. I'm a "Scaredy" when it comes to Dentists, but these people are wonderful. They make you feel at ease the moment you are in "the chair". Everyone that works in this office is friendly and helpful! I've had both Steven and Bridget do my dental work there and again both are excellent. I've never felt anything uncomfortable when getting a cavity filled. They are always very informative with what's going on when they are working so you aren't just sitting there wondering. 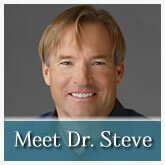 Doctor Steve has a real talent for dentistry! This has been my favorite dentist office since I was a little kid. I would recommend him to anyone and everyone. 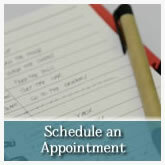 To request an appointment, please call us or fill out the form on our Request an Appointment page. Below is the Patient Forms Packet you'll need to complete on your first visit. You can expedite matters by downloading this form, completing it at home and handing it to our staff when you arrive for your initial visit to our office. We accept Visa and MasterCard credit cards. We also offer no interest or low interest financing through CareCredit. We accept All PPO insurances plans and we are in network with Delta Dental and MetLife. To find out if we accept your plan, please call our office.